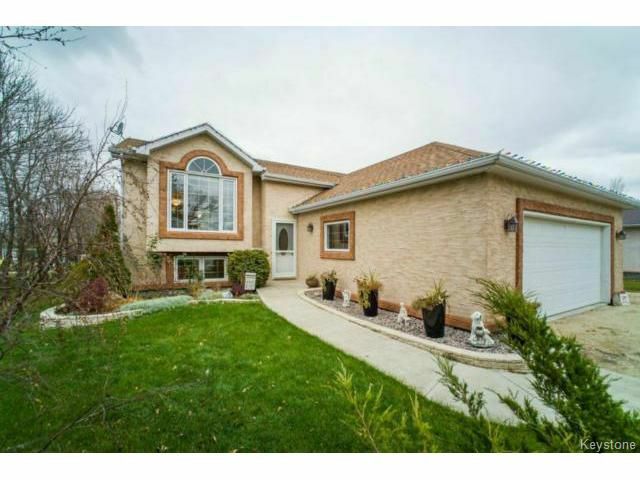 O/H Ssaturday November 15th 2-4pm Located just 15 minutes outside of the perimeter in Lorette, MB this 4 bed/ 3 bath home is sure to impress!! Featuring a stunning sunroom that overlooks a park-like, gorgeously landscaped yard, and a huge master suite with walk-in closet and ensuite. The main floor of this bright home has updated flooring, tri-pane windows, a gas fireplace, loads of new lighting and so much more. On the lower level you will find a freshly painted family room with large windows and a gas fireplace. Here you'll also find the 4th bedroom,utility room,laundry room and tons of extra storage!! Other updates include shingles (2014), stucco (2012), HWT (2011),and painting(2014). Pull into your OVERSIZED double attached garage after a long day at the office and relax in your new home located on a quiet street with all schools and amenities close by. Do not miss this one! Call today!